A couple weeks ago we did a fun little experiment by making a bouncing egg! We did this to introduce and reinforce the scientific method. 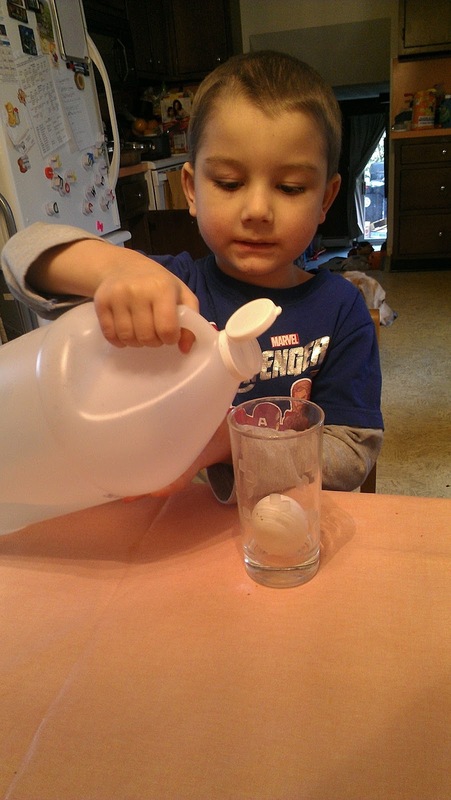 Question: How high can an egg bounce after it is soaked in vinegar for three days? 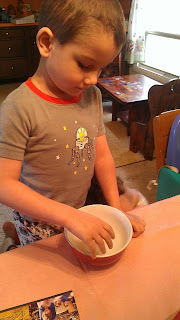 Research: We read a book How to Make a Bouncing Egg by Jennifer Marks. 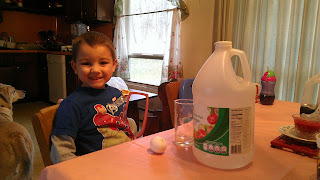 Hypothesis: Sebastian figured the egg would bounce from two feet off the table. 2. 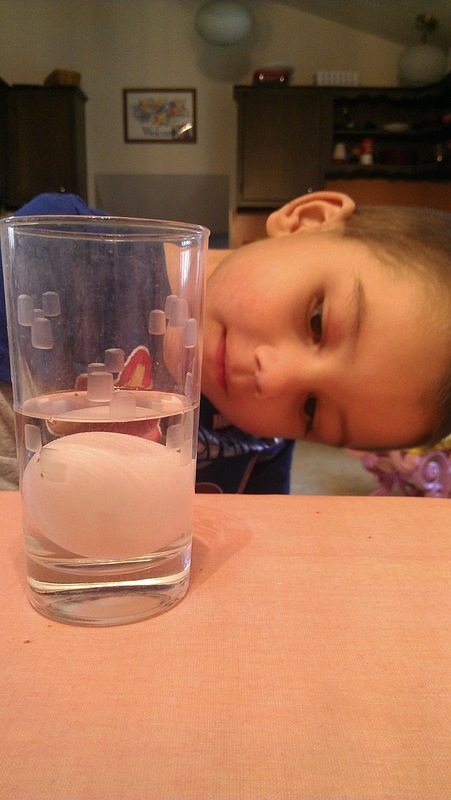 Put the raw egg in the glass and pour in enough vinegar to cover the egg. 4. 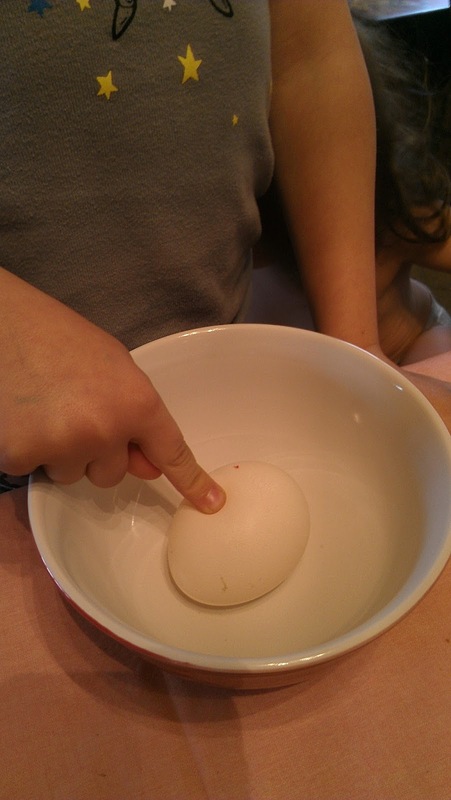 Poke the egg and observe the changes. 5. 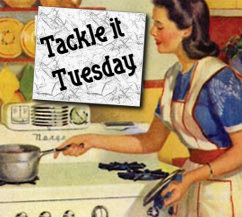 Start at a small distance an drop the egg. Increase the height until the egg breaks. Observations: Sebastian realized we messed up because the egg didn't look "naked". Because the egg stayed in the vinegar a day too long the membrane went opaque so we couldn't see the yolk through the membrane. We though this meant we could drop the egg higher. That was not the case. 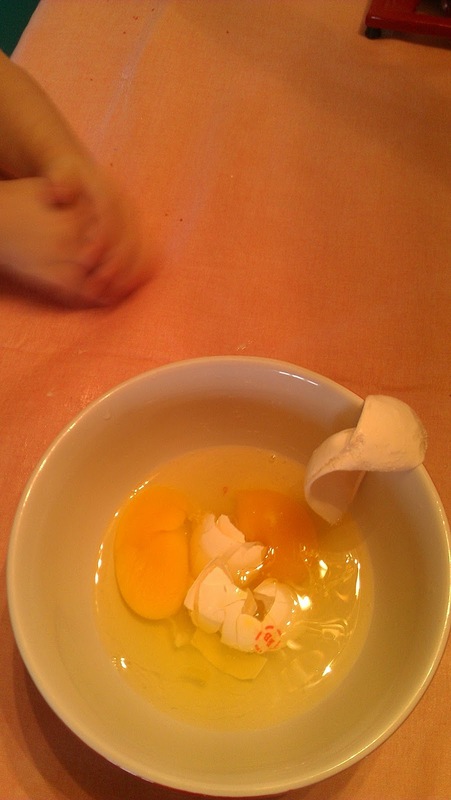 Instead, the egg broke only a few inches off the table. Conclusion: Although dissolving the egg made the egg a bit more durable, it is still an egg and can still be easily broken. 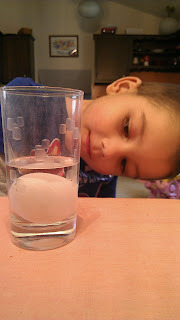 Sebastian LOVED this science experiment and we will probably do it again, but this time add in variables like different sizes of eggs or different types of vinegar. I hope you also do this experiment and let me know what your results are!